A free gift from the authors of Love Under Fire is available on Instafreebie! Our Limited Edition Box Set is releasing this November, but we've put together a little teaser...the first few chapters of ALL 21 Romantic Suspense novellas in the set. Want to get a preview of what's included in the full set? Claim your sampler copy! 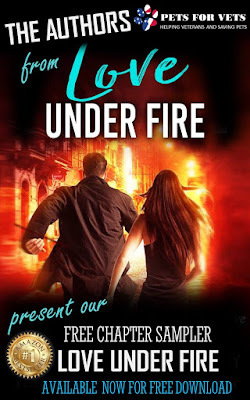 Download your FREE sample from Instafreebie here and then don't forget to place your Pre-order for the whole set, 21 NEW, never-before-published Romantic Suspense Thrillers, available for a very limited time in this special 99 cent set. After the deal is gone, the set will no longer be available, and each book would have to be purchased individually, so don't miss this chance! Plus, you'll be helping support Pets for Vets, the wonderful non-profit we're donating a portion of our set proceeds to. 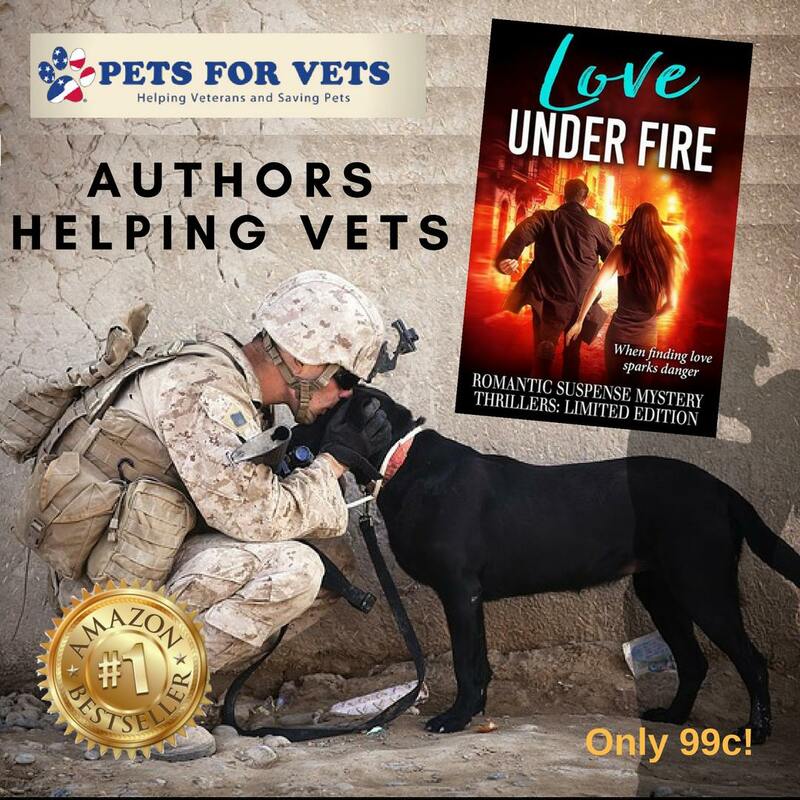 Every sale helps a veteran and a shelter pet! Pre-order Links for the entire set (will automatically download on Nov. 13th if you order now) can be found in the universal link below, you can choose the retailer of your choice!